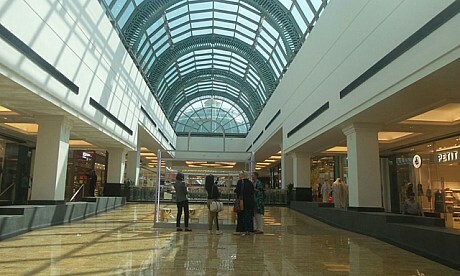 Bigger certainly means better at Mall Of The Emirates, which recently unveiled their huge expansion for the first time. Built on top of the current mall, the entire third floor consists of (shopping) bag loads of new retail and dining spots, as well as what we’re calling “the most futuristic cinema in the world”. Dribs and drabs of information has slowly been filtered out about what we might find inside the new space. With 1,300 added shaded parking spaces for guests, there’s a new valet service by the Fashion Dome and Galleria that will serve shopping hoping to treat themselves at Prada, Burberry, Fendi, Tom Ford, Dolce & Gabbana or Salvadore Ferragamo. It cost Dhs 1 billion to create the area they’re calling Evolution 2015, and it’s the size of eight professional football fields. Inside you’ll find 40 retail outlets, 12 of which are fashion stores – say hello to Seafolly and Juicy Couture. Then there are 12 new dining options including an offering named Texas de Brazil.